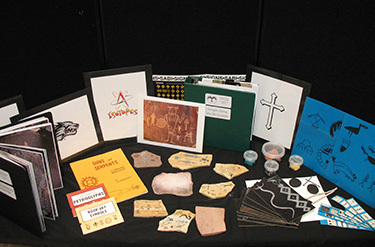 Museum-trained docents deliver a variety of hands-on activities to your site. 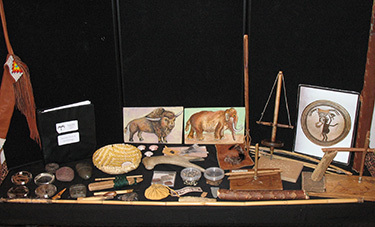 With Traveling Trunk Exhibits you can explore Biological Anthropology, Southwest Archaeology, Native American, Hispanic and World Cultures. Traveling Trunks are $15/group within Albuquerque city limits, $15/group plus mileage outside Albuquerque city limits. In order to have the best possible presentation, we suggest two adults to assist in the activities for all school groups. Teacher participation is essential. Please, no substitutes! We limit group size to 30. Consider volunteering with the education program. Learn how scientists explore the issues surrounding our human distinctiveness by analyzing skeletal differences. 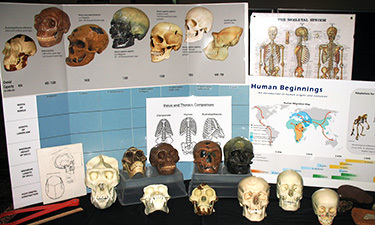 As novice biologists, your group will use calipers to measure and compare morphological features of skull casts. You will use this information to make interpretations about gender and lifestyle. 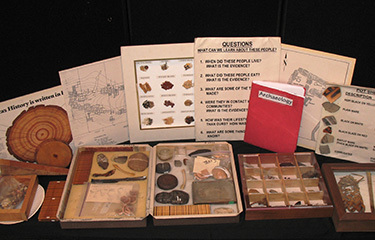 Learn about early technologies of the southwest by using "ancient" tools from our collection. Your group will process yucca, make rope, set traps, "make fire" and use pump drills. 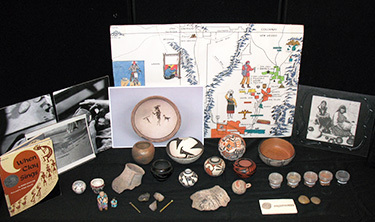 As amateur archaeologists, you will gather and analyze "clues" from a generic early Puebloan "site". You will use the data to explore fundamental questions about this culture: When they lived; what they ate; what their communities looked like. Gain appreciation for other cultures by exploring their artistic traditions. 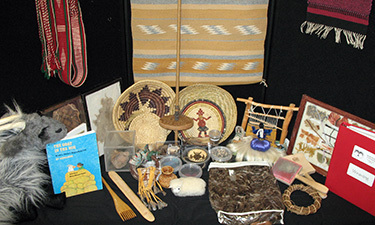 Your choices include Music, Hispanic culture and Native American Culture. Explore the richness of world cultures by experiencing folk music: Shake, rattle and blow our collection of musical instruments. Sing, dance and hear music from around the world! 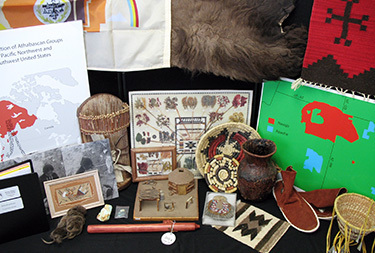 Discover Navajo and Apache history, culture and art forms by exploring authentic artifacts, historical photographs and models. Paper Baskets: Make a paper basket using yarn. Loom Kit: (Add $10.00 per group for materials):Includes one cardboard loom per individual plus enough yarn to complete a small rug. 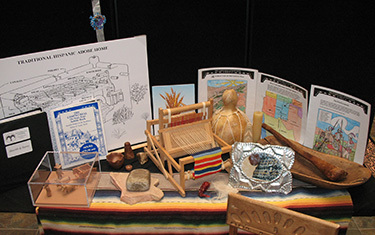 Study the Hispanic culture of New Mexico: Learn about the early colonists and how their struggle to survive influenced their cultural traditions.